The building will be supplied as a flat pack kit. 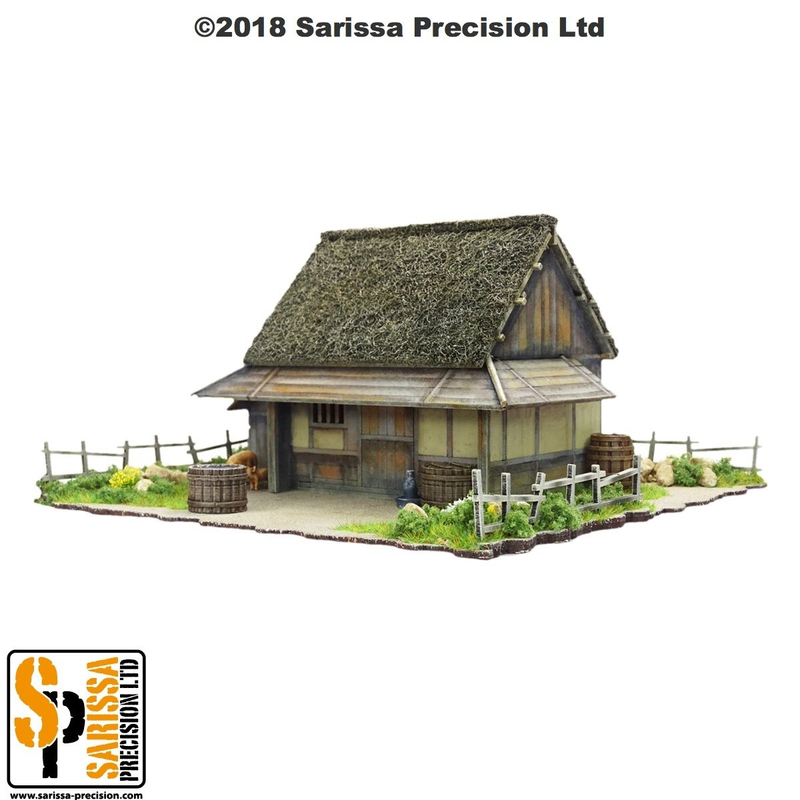 The Scenic base, fencing and any models or accessories shown are for scale purposes only and are not included. 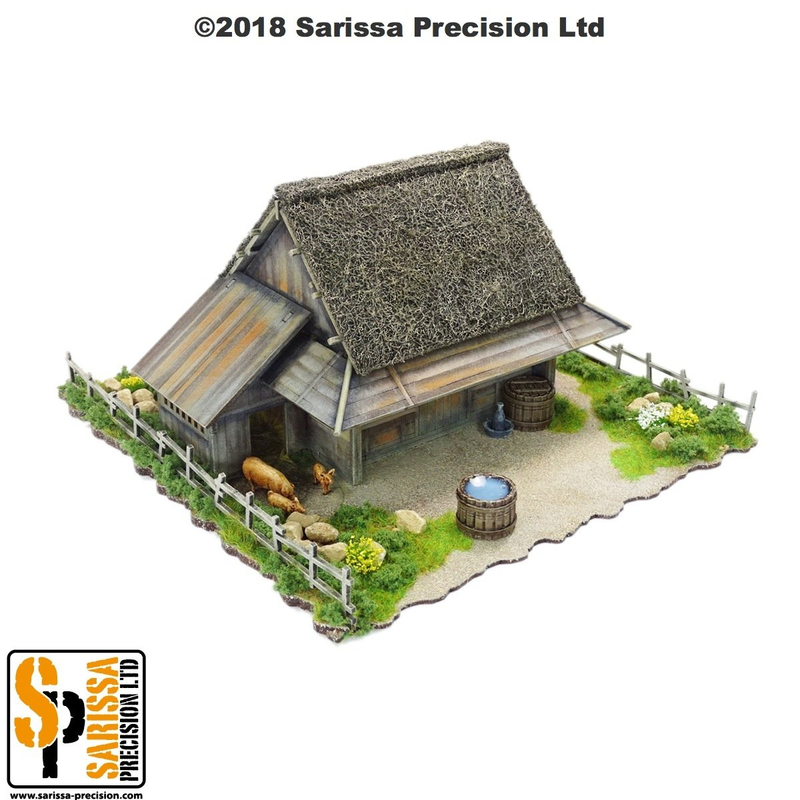 Thatched roofing material also not included. 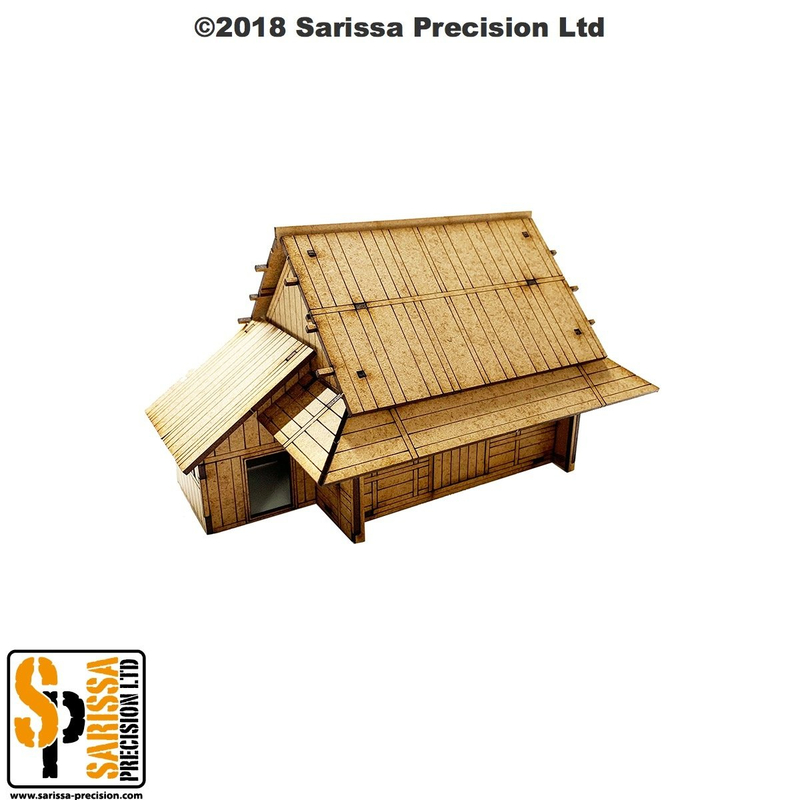 The Gallery pictures show how the model may be finished. Finished models are made by March Attack. Laser cut from 2mm MDF and 1mm Greyboard. Kit supplied unassembled and unpainted, gluing may be required on some parts.